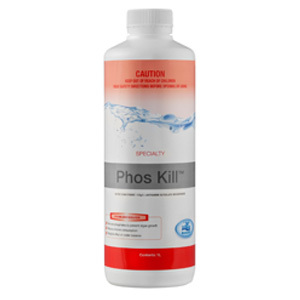 Prevents algae growth by removing phosphates, a major food source. Useful for pools exposed to phosphate rich environments, such as swimming pets, birds, heavy rain, garden beds, floods, dust storms, areas with many trees, country areas. Promotes healthy, sparkling pool water for safe swimming conditions. Saves money by reducing chlorine consumption. Pool sanitisation becomes more efficient against green pools.